Besides being the leader and forefather of growing, harvesting and distilling essential oils, this company also provides oil-infused products for your personal care, to keep you healthy and fit and for the home. To begin they have the widest selection of pure essential oils and blends. Essential oils can be used aromatically several ways. When used aromatically, essential oils can purify, deodorize and freshen the air or provide a spiritual uplift. This can be achieved by rubbing 2-3 drops between the palms and inhaling deeply several times. Adding a few drops of essential oil into a bowl of hot water and covering your head with a towel can also be a good way to breathe in oils deeply and slowly. Using your favorite diffuser in your home, car or office can be another great way to use the oils aromatically. Many oils are safe and very beneficial to use directly on the skin. This application is what we refer to as NEAT. You can place 2-3 drops of essential oil directly on the desired area and massage in using the Vita Flex Points, Reflexology Points on the hands, feet, ears or spine or directly to the area itself. Repeat as desired and always follow label directions for dilution instructions. 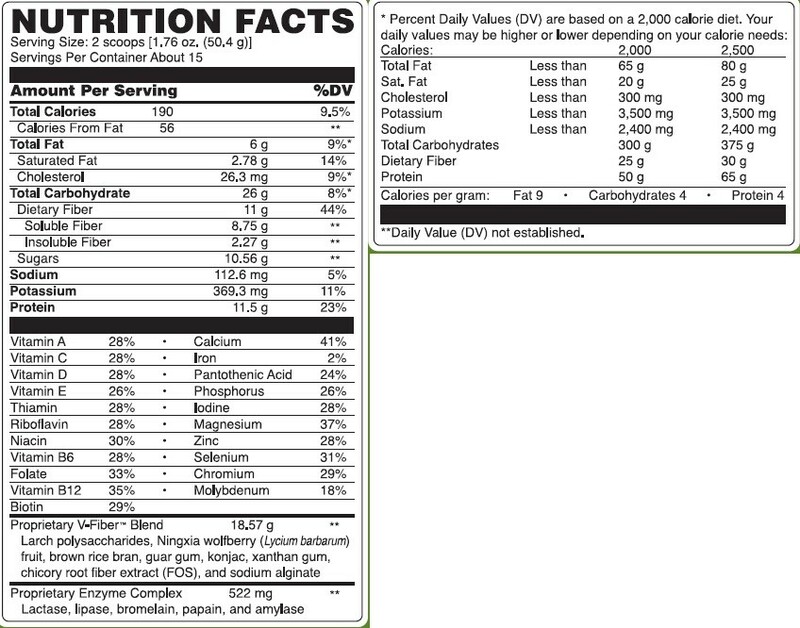 Young Living has a specific line of essential oils under the Vitality label that are approved for ingestion. Be careful when taking oils internally and always do your research first. Internal consumption can be achieved in various ways. Several drops inside a vegetable cap, 1-2 drops into a glass of water, juice or NingXia Red, in yogurt, honey or in milk. You can also add a few drops of oil to meals when cooking. Always read individual product labels for usage directions. Unless an essential oil is labeled for consumption, NEVER INTERNALLY CONSUME. You can keep your family and home clean and protected with naturally derived products that are perfect for everyday use. The home care products feature the ingredients you want, without all the stuff you don’t. 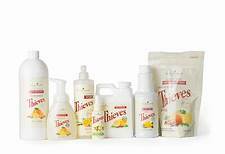 Our best selling home product is the Thieves line. Thieves Laundry Soap, Dishwashing Powder, and liquid Dish Soap. Thieves can keep you clean with the Bar Soap or Foaming Hand Soap. 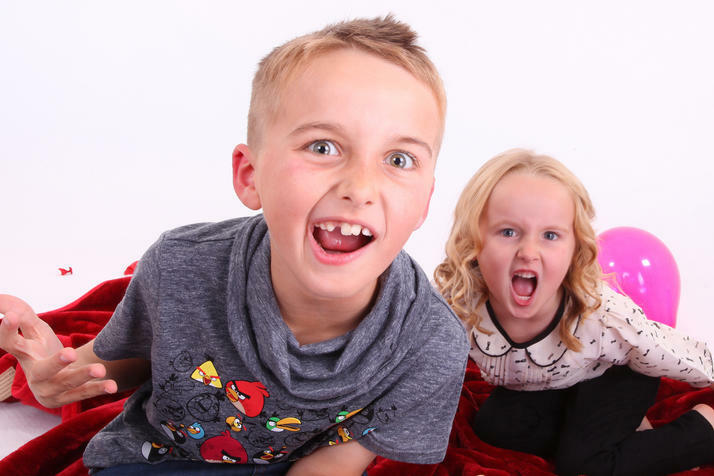 You can keep healthy teeth and gums with our Toothpaste, Mouthwash, Dental Floss and Mints. Keep your fruits and veggies clean with the Fruit and Veggie Soak. You can also help to remain healthy with the Thieves Cough Drops, throat Lozenges or Thieves Spray. Cleanse, nourish, moisturize, and more with formulas free from harmful, damaging chemicals. Everything of course is oil-infused. Rest assured you can use all the personal products without worrying about toxic ingredients. All of the products are naturally plant based and toxic-free! Here are just a few of the ways you can ditch and switch to non-toxic products for your family and pets. 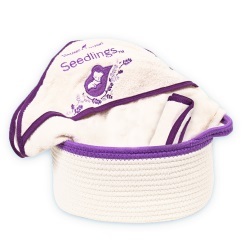 The Seedlings line specifically for your tender infants. Safe and toxic-free debuted in the summer of 2017. 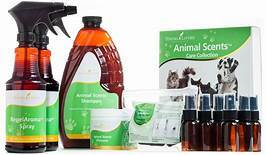 Lotion, Diaper Rash Cream, Wash & Shampoo, Wipes, Baby Oil and Spray. 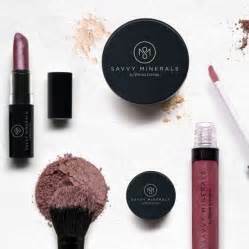 There is a complete skin care and mineral makeup line available to you, oil infused and toxic-free. Safe for all skin types. 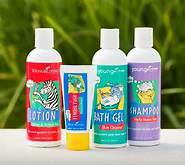 For your children we have a complete line of oil-infused products such as lotion, shampoo, bath gel, toothpaste and more. A specific line of KidScents essential oils pre-diluted for safe use with your littles. Remember you can trust our Seed to Seal guaranty and we are the WORLD LEADER in essential oils. I am amazed at how much the D. Gary Young – Young Living Foundation does across the world. I want to take a moment to talk about this part of the company I represent because helping people is so near and dear to my heart. All administrative fees for any of the projects operating through the foundation comes directly from the Young Living Corporate monies. All donations to the foundation go directly towards the project designated. FUN FACT: As a Young Living member you can request to work on any of the current projects they have going. All ages and any skill level is appreciated. There is always something that a pair of helping hands can offer to the less fortunate. Contact the Young Living Headquarters in Lehi Utah if you would like more information about going on one of the philanthropy trips with the foundation. The foundation was founded in 2009 and has since focused on unlocking possibilities by providing tools and resources to those whose needs receive far too little. It is the mission and vision of the foundation to provide long-term solutions to many parts of the world. They are committed to empower individuals to achieve their potential and defy limitations by providing wellness and education opportunities to undeserved communities. Imagine a world where children are provided with the resources and opportunities necessary to become confident, self-reliant leaders who can take control of their families, and change their communities in a positive way. This is happening folks, it is made possible by the foundation and here are some of the project partners. In 2015, two major earthquakes in Nepal claimed nearly 9,000 lives and destroyed more than 900,000 homes, tragically leaving millions without a roof over their heads. After visiting Nepal in January 2016, Young Living Founder and Chairman of the Board D. Gary Young became overwhelmed with the devastation that still exists in a nation that is slowly recovering. Many victims are still struggling to survive as sub-zero temperatures and heavy rains render their makeshift shelters painfully inadequate. After seeing and experiencing the desperate need for homes to be rebuilt, Gary and the Young Living Foundation immediately put a plan into action. 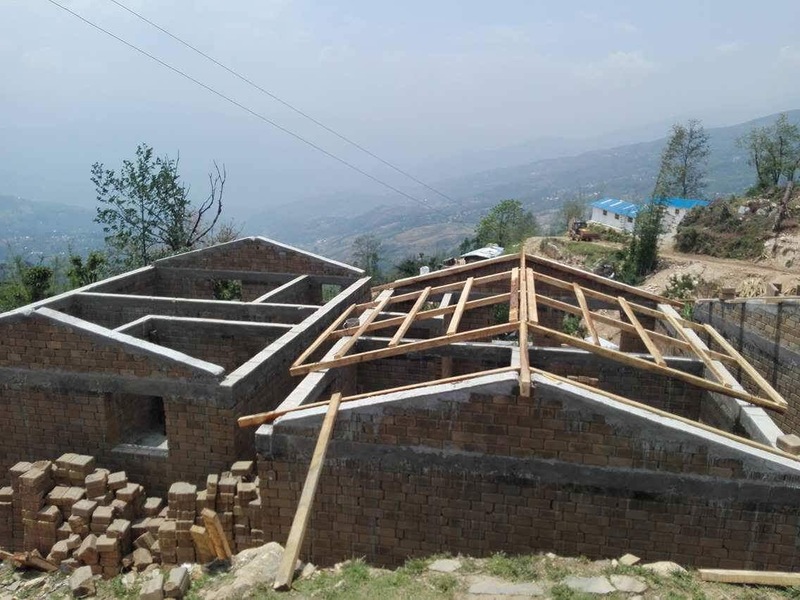 In Yarsa, a mountain village completely destroyed by the earthquakes, the foundation is rebuilding 112 homes and two schools. In addition to rebuilding the primary school, we will also build the first-ever high school in the village so students will no longer have to walk two hours each way to go to a secondary school. 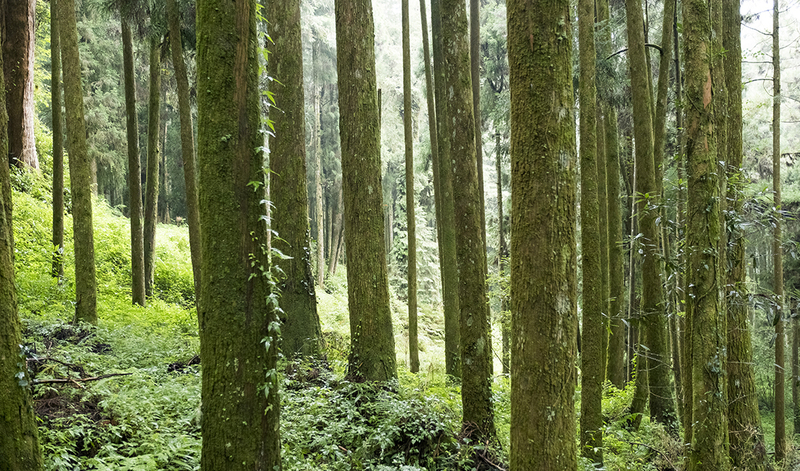 While living in Ecuador to discover and cultivate natural essential oils indigenous to the area, Young Living Founder and Chairman of the Board D. Gary Young noticed several children entering a run-down building in the small, rural town of Chongon. He passed the building nearly every day on the road to the Young Living Farm outside of Guayaquil. One day, he decided to take a look for himself. Inside he saw 42 first- through sixth-grade students crammed into one tiny room, forced to share limited supplies and sitting at broken tables while their volunteer teacher gave lessons on a damaged chalkboard. Gary and his wife have a passion to serve so I am not surprised they took on a project to build a school and educate these children. Young Living Co-founder and CEO Mary Young wasted no time and went to work to give the children of Chongon the best schooling possible. It started with building a new, advanced school from the ground up. In 2009 the Young Living Academy opened its doors to 83 students. Word got out quickly and more students with dreams to succeed pleaded to join the academy. There was no way we could turn them away. The Young Living Academy soon took in 100 students, then 150, then 200. It continues to grow and expand and now educates nearly 340 students in grades K–12. I sponsor a child out of my monthly “THANK YOU” check I receive from Young Living. anyone can sponsor a child by contacting the Young Living Foundation. The mission here is to end human trafficking and slavery, in our generation. With more than 20 million slaves in the world—more than half of which are women and girls—human trafficking is one of the most devastating social issues of our time. Hope for Justice uses the following four-tiered strategy to bring freedom to the least, the last, and the lost. In fact, more than 90 percent of victims who go through Hope for Justice’s restorative programs never return to trafficking—that’s the highest percentage among nonprofits battling modern-day slavery. Enter Sole Hope. 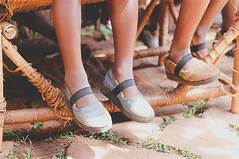 What started as an effort to remove jiggers has evolved into a holistic approach that provides medical care, relief, education, and jobs for people in Uganda. Through various initiatives and programs, Sole Hope uses real-world solutions to benefit as many people as possible. The foundation provides clinics, durable shoes and education about jiggers to the people here. They also provide ongoing support and an outreach house. Sole Hope offers hope, healthier lives, and freedom from foot-related diseases through education, jobs, and medical relief. One of the organization’s primary focuses is to help children and adults become and remain jigger free. Jiggers are sand fleas that burrow into hands and feet. Once embedded, the female jigger lays eggs and creates egg sacks up to the size of a pea and continues to multiply by laying more eggs. Found in sub-Saharan climates, these parasitic insects lie relatively undetected on the dirt floors of homes and schools in Uganda. Children in Uganda are particularly vulnerable as they often play barefoot in the dirt. African Hearts operates a rescue program for children living in the Kisenyi slum. 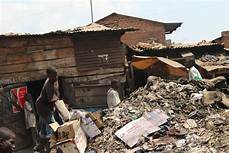 This slum is considered the largest in Uganda and one of the biggest in all of the African Continent. The meals program has expanded from 3 to 5 days per week. Prior to this the children scavenged the trash heaps looking for food. The conditions here are not even something we as privileged Americans can imagine in a worst case scenario. 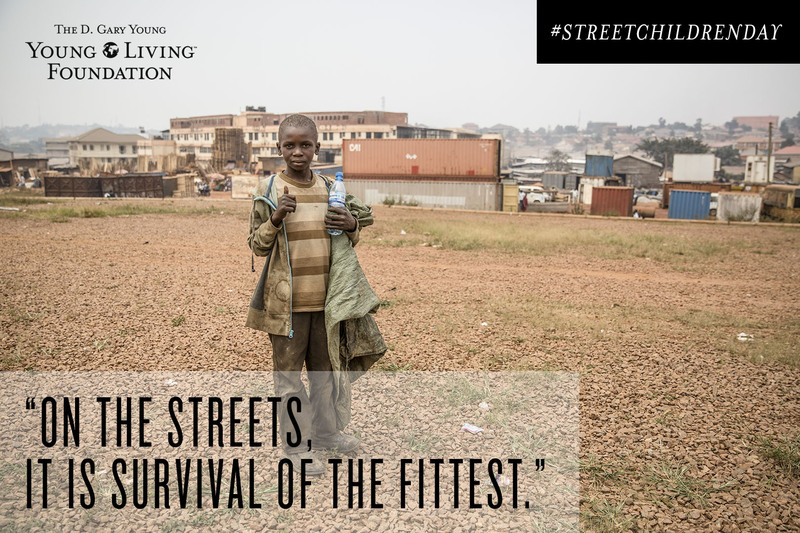 Remember, your donations are so important and 100 percent of every dollar donated will help our partner African Hearts feed and educate children living on the streets in the Kisenyi slum in Kampala, Uganda. A person dies every 60 seconds from malaria in Africa. A majority of those deaths are children under the age of five. It’s a disease that far exceeds the death toll of HIV/AIDS. Since 2011, Healing Faith Uganda has been a champion in the fight against malaria in Eastern Uganda and we were thrilled to partner with them in 2015. Healing Faith Uganda provides malaria education, prevention, and treatment to families and children. They focus on the smaller, more remote villages where families have limited access to aid and children are more susceptible to malaria. 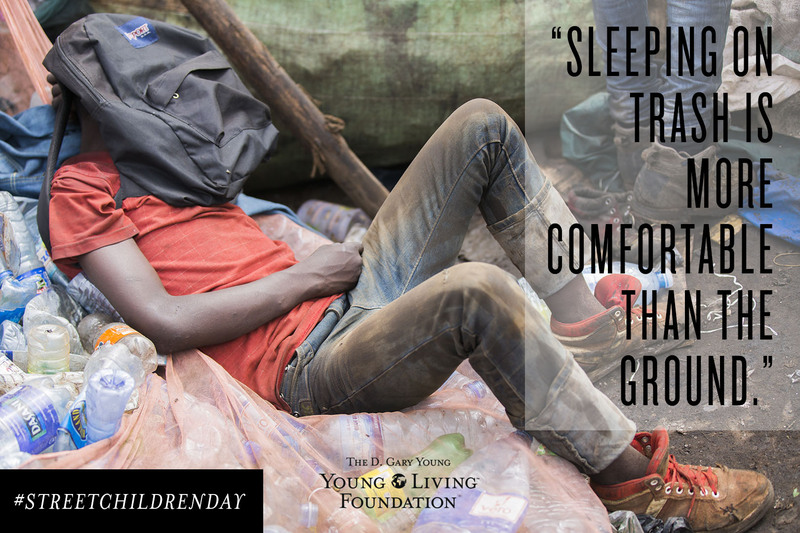 With funds raised at the Young Living 2015 International Grand Convention, The D. Gary Young, Young Living Foundation was able to purchase over 4,000 mosquito nets for Healing Faith Uganda. The foundation and several members went on a humanitarian trip to Uganda to deliver the donation, and they were able to hang a net over every bed throughout the village of Wasaki! In 2016, the foundation has helped Healing Faith increase its impact by 1,000 percent! They’ve gone from hanging 400 nets in a month to more than 4,000 a month thanks to the generous contributions of our donors. Through Healing Faith Uganda, a single donation of just $5 provides a mosquito net that can protect three to four children from malaria. BALKAN BOTANICAL FARM located in Manolovo, Bulgaria, this is one of our carefully selected partner farms. 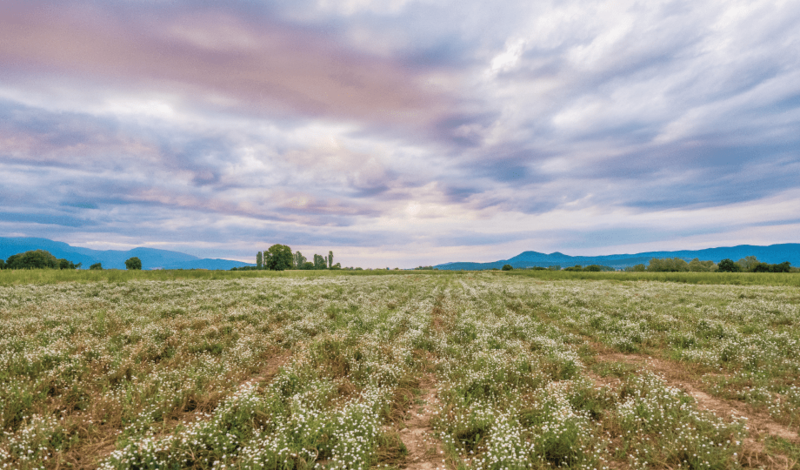 Located in Bulgaria, one of the most valued rose-growing regions in the world, the Balkan Botanical Farm specializes in roses and has expanded its essential oil farm offerings to include Roman chamomile and valerian as part of its partnership with Young Living. The Balkan Botanical Farm builds upon the deep history and worldwide recognition of botanical farming in the region. This region specializes in cultivating superior roses. I use Rose oil on my face every morning in my DIY face serum. 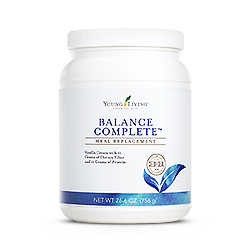 I have noticed age spots beginning to fade and fine lines and wrinkles beginning to disappear. Fun Fact: The Balkan Botanical Farm is also involved in promoting local cultural events, regional festivals, and educational opportunities for workers and their families. TAIWAN COOPERATIVE FARM located in Taitung, Taiwan is a cooperative farm which is actually made up of smaller individual farm operations that each focus on different oils. Like each unique operation, each oil has its own story and background that include its preservation, generational history and family significance, and the ingenuity and innovation necessary to create it. Oils from this farm are Jade Lemon, Hong Kuai, Xiang Mao and Camphor Wood. Jade lemon is another one of my favorites. It has a sweet citrusy scent which is so emotionally inspiring. MAYDI FRANKINCENSE DISTILLERY located in Dubai, United Arab Emirates. This is the farm where we get our Frankincense resin. The trees are actually scarred and will produce a sap like resin that is then harvested and used to distill the essential oil. 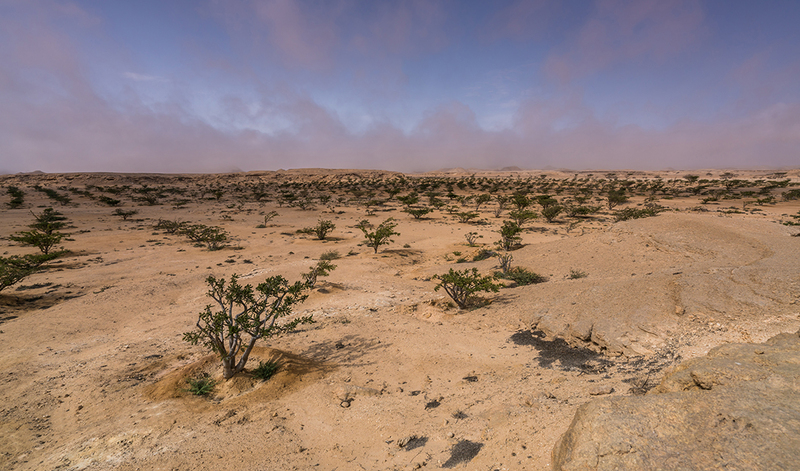 This region has long revered frankincense for its luxurious fragrance and properties. 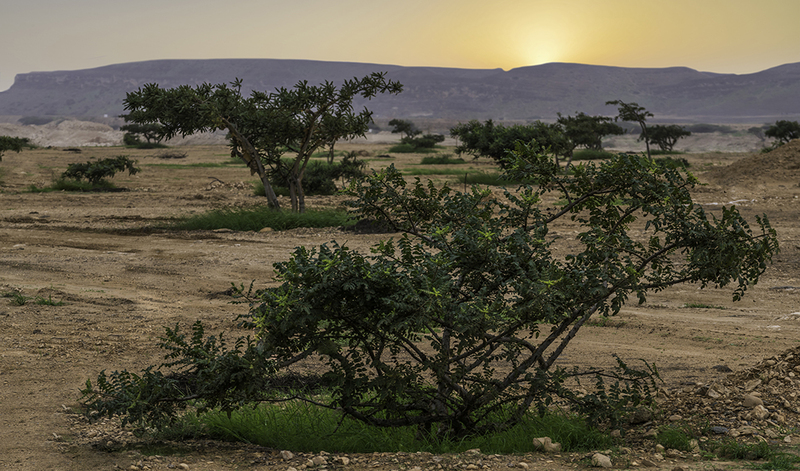 The esteemed benefits of the frankincense tree are now available to homes around the world, and Young Living’s longstanding partnership has played an integral role in the process of making Frankincense oil more accessible. Frankincense is very earthy and has a grounding effect when inhaled, applied or diffused. Frankincense can also support the respiratory system when needed. There are so many great uses for Frankincense I couldn’t even begin to list them all here. In this location there is a distillery set up. ARABIAN FRANKINCENSE DISTILLERY located in Muscat, Oman is where the Sacred Frankincense essential oil. It is the Sacred Frankincense that is distilled here. The same process that was used in Biblical times is still used today. If you ask what the difference is between the two frankincense oils, personally I like Frankincense as I feel it has a more earthy fragrance and I lean towards the earthy smelling oils a lot more. The Sacred Frankincense has a slightly softer, somewhat sweet smell to it. As far as how they work, I couldn’t say one is better over another for me. If I am out of one and I feel the need for some Frankincense I will use what I have on hand. 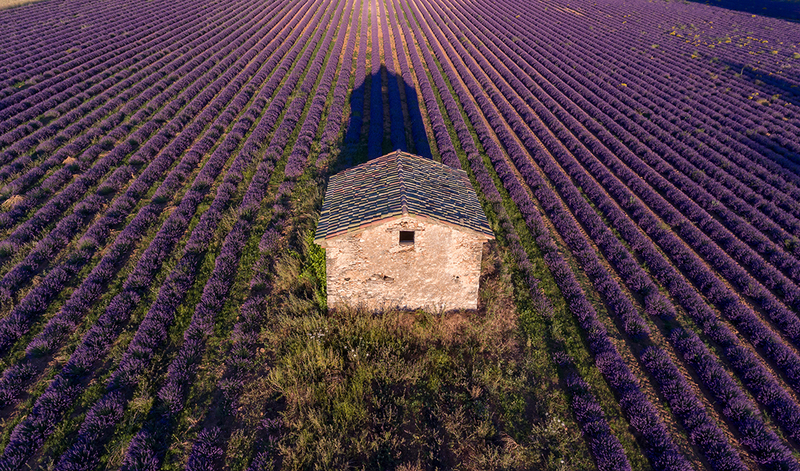 Young Living’s Simiane-la-Rotonde Lavender Farm is located in charming Provence, a region of France renowned for its beauty, fragrant lavender fields, and summer-long festivals. Because of its history and breathtaking views, this farm has become a popular destination for essential oil lovers, artists, and visitors looking to breathe in the captivating spirit of the special location. Oils and product from this farm are Lavender, Clary Sage, Rosemary, Lavandin and Einkorn Wheat. Lavender is called the “SWISS ARMY KNIFE” of all essential oils. There are more than 150 uses for Lavender essential oil. I keep 5-6 bottles on hand at all times and boy do I use them! I would be lost without my lavender oil. I use it in many of my DIY products. There is a bottle in the kitchen, one in my purse, another at my bedside to help promote a nice restful sleep and one in the kitchen just in case I might get a bit close to the fire. You know that lavender is very soothing and beneficial to the skin, and that’s why I keep it in the kitchen. PERTH SANDALWOOD FARM located in Perth, Australia is where the company gets oil for the Sacred Sandalwood essential oil. While this farm is headquartered in Perth, the sandalwood plantations extend across Australia’s tropical northern outback. I absolutely love sandalwood. I make a solid perfume with this oil and carry it with me. I love to just open it up and smell it, it is so uplifting to me senses and emotions. 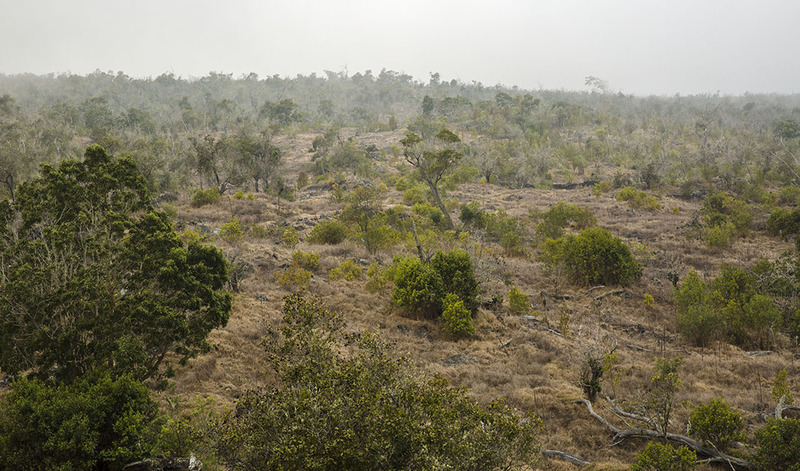 This location utilizes a remarkable approach to protecting precious sandalwood trees from India’s growing black market by bringing seeds from India to be cultivated on this farm. 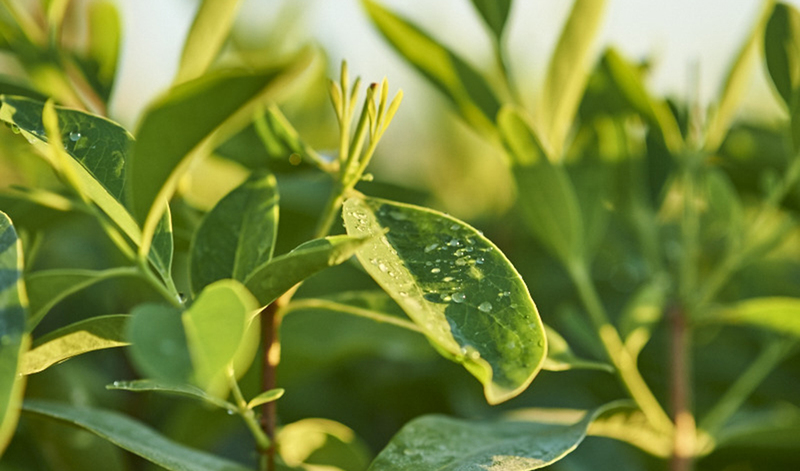 Once safely planted in their new home, these trees are cultivated with the industry’s highest standards of quality, sustainability, and environmental stewardship. OUTBACK BOTANICAL RESERVE located in Darwin, Australia is where we get Blue Cypress. NORTHERN LIGHTS FARM is located in Fort Nelson, British Columbia, Canada. This is one of our corporate owned farms, located on the Alaska Highway. I really want to go to this farm and experience the Northern Lights, and distill some Northern Lights Black Spruce. After extensive searching and research this property was purchased in 2014. 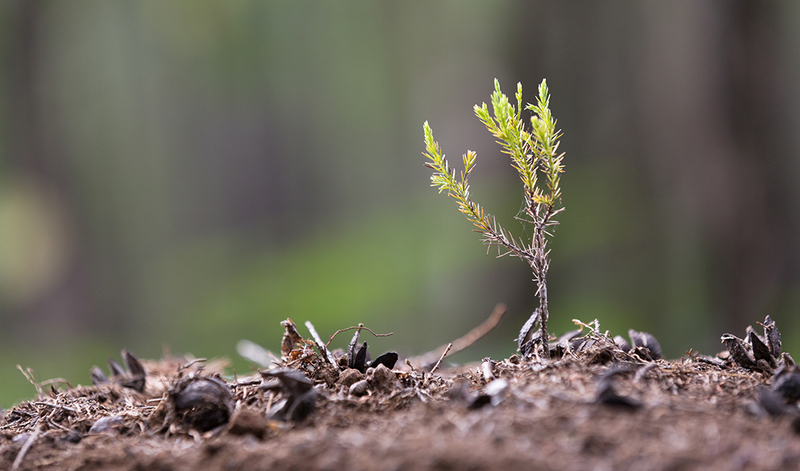 This is a main source for Black Spruce essential oil, which is used in many of the blends. This land remains free of synthetic chemicals or fertilizers. This is a picture of the sky and the beautiful Northern Lights that occur during certain times of year. It is something on my bucket list to see the display of Northern Lights one day. I’m going to make a trip and at the same time make arrangements to visit the farm! 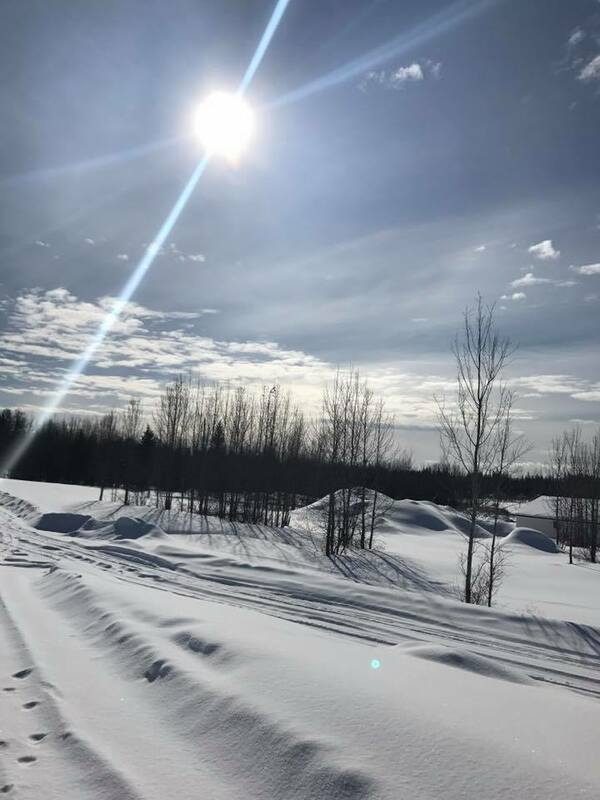 Another beautiful picture of the peaceful and serene surroundings at the farm in Fort Nelson, British Columbia. Other oils that are produced at this farm are Ledum, Yarrow and White Spruce. FINCA BOTANICA FARM is another corporate owned farm located in Guayaquil, Ecuador. Here is 2000 acres of lush, rich soil located in a tropical climate. A clinic is located here as well, at this clinic there is an opportunity to receive care for your body using natural essential oils. Spa treatments, massage and more. 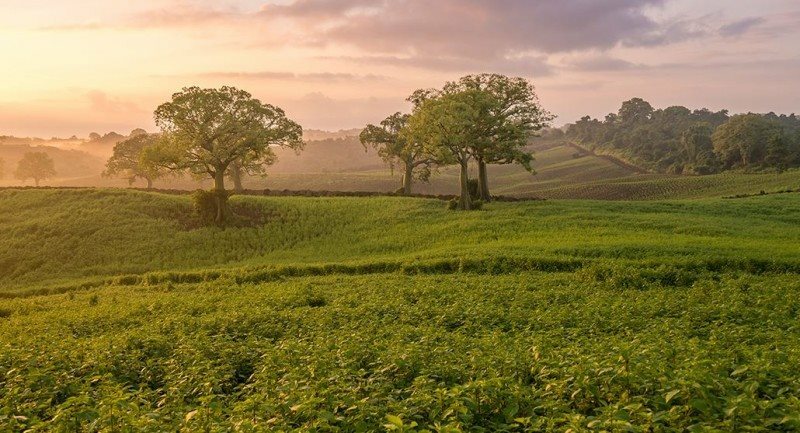 The Finca Botanica Farm in Guayaquil, Ecuador, has 2,000 acres of rich soil that provides year-round harvests and lush botanical life – all thanks to the tropical climate. The farm is proving to be the perfect place to harvest oils that are in short supply throughout the world, such as helichrysum. 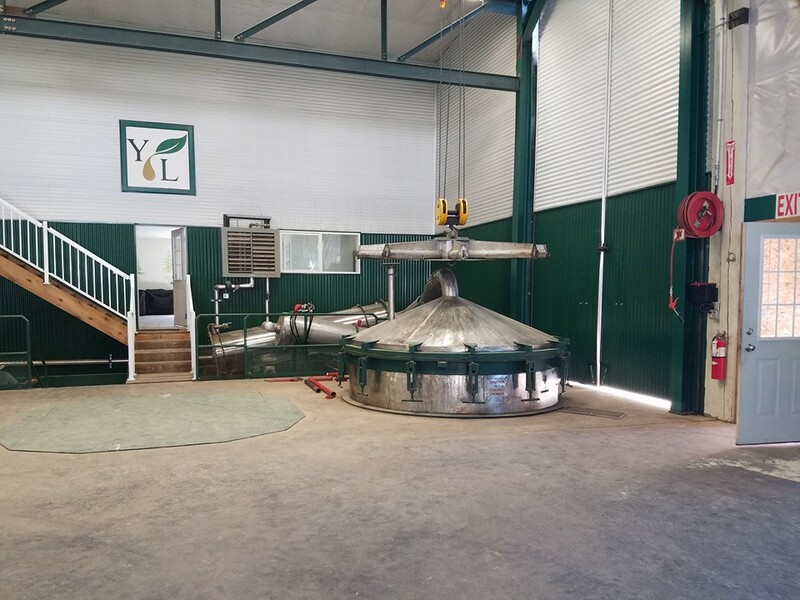 Building this farm and its state-of-the-art distillery started as a passion project for Gary Young. The tropical climate helps to nurture the botanical life and the year-round harvests. Oils produced at the distillery located onsite are Ylang Ylang, Palo Santo, Mastrante, Lemongrass, Eucalyptus Blue, Dorado Azul, Ocotea, Plectranthus Oregano, Rosa Muerta, Cardamon, Geranium, Hyssop, Ishpingo, Rosemary, Ruta, Thyme, Vetiver and the chocolate products. 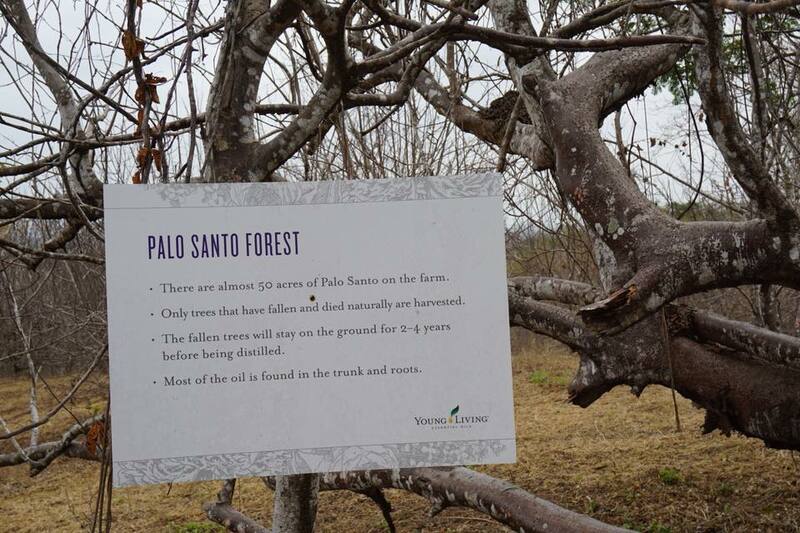 Here’s a fun fact: Palo Santo essential oil comes from the dead fallen trees located at the farm. Most of the oil is found in the trunk and roots of the tree and they remain on the ground for 2-4 years before they are actually harvested. 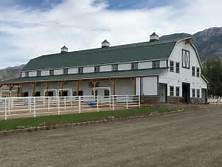 It’s possible to get an all expense paid trip to this farm for 2 if you reach the Platinum level within the Young Living company! There are several trips given for each rank attained beginning at Silver. The D Gary Young Foundation has built a school at the farm. Here children can attend all grade levels and receive a superior education. Graduates from the Young Living Academy are choosing to attend universities of higher education, which is something not many of the children in this area have an opportunity to do, especially the females. 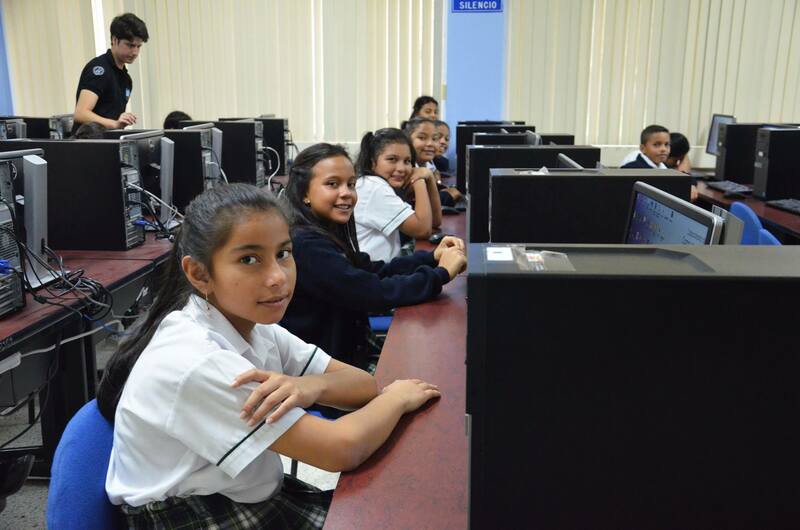 This school is offering a lot for the families in this area of Ecuador. Young Living is also providing jobs for the people at a good wage, helping to make the living there better for them. The school was built entirely out of donations to the Young Living Foundation. All administration fees are paid for out of Young Living corporate. You can also sponsor students with a portion of your Young Living Thank You check. I sponsor a young girl myself. 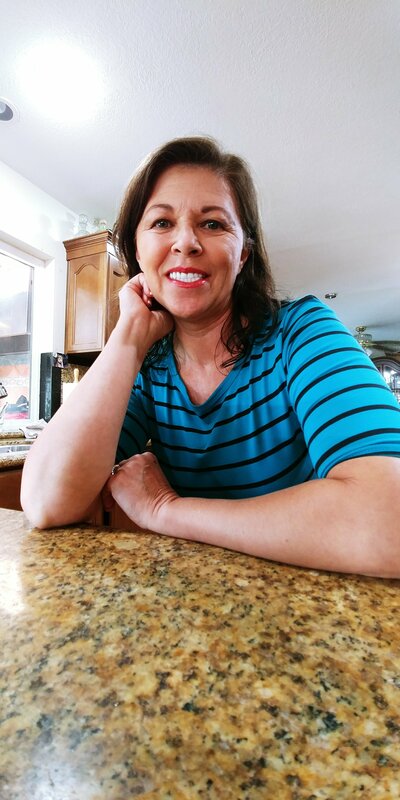 I am happy to say I get a Thank You check every month from Young Living just for sharing what essential oils and oil infused products have done for my family and others. 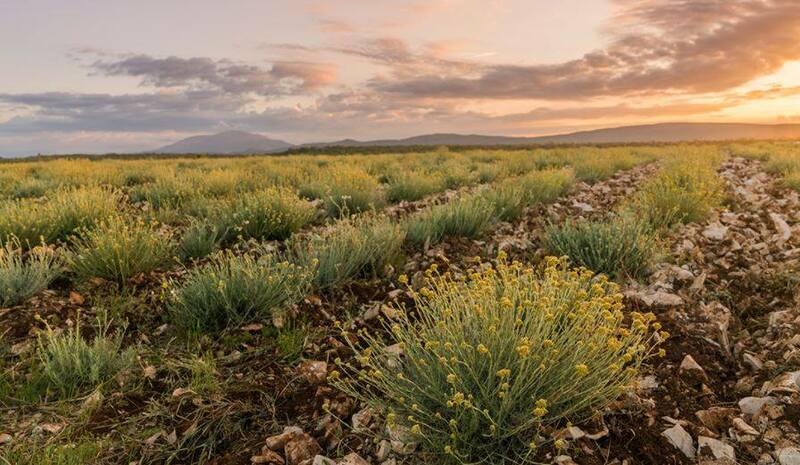 Dalmatia’s landscape reflects its deep cultural roots and makes an ideal home for the botanical helichrysum. That’s why this farm was founded with the intention of becoming a sustainable source for the popular Helichrysum oil, but the location has since continued to grow and cultivate even more botanicals. Oils cultivated and distilled on sight at the distillery located at the farm are Helichrysum , Sage, Juniper and Bay Laurel. Those are some of my absolute favorites right there. I have been to Croatia in the past and it was beautiful. I intend to return once again and will include a visit to this farm as well when I go back. Fun fact: Did you know that Helichrysum loves to grow in rocky soil? This farm was discovered with the helichrysum plants already flourishing on the land, but needed a bit of care to get it up to par. A distillery was also built at the location and it is flourishing today! Here is a picture of the helichrysum plant growing there. 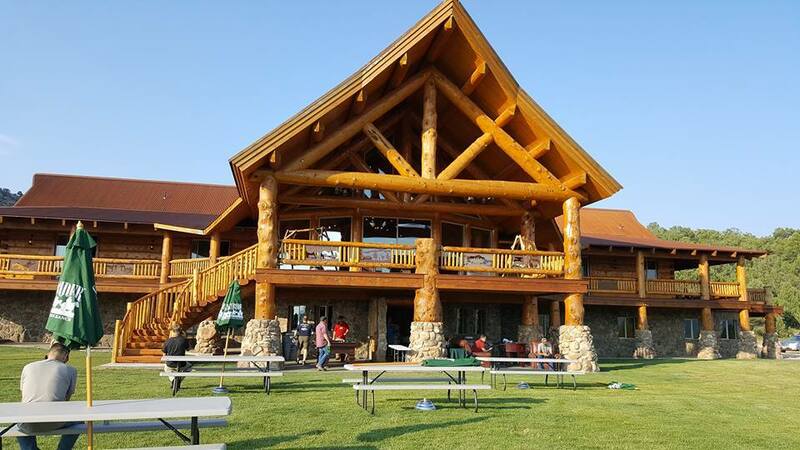 Skyrider Wilderness Ranch in Tabiona, Utah is one of Young Living’s newest locations! This is where many global leaders meet for retreat and other events that are hosted here. Nestled in the hills of Tabiona, Utah, this ranch is close to Gary Young’s heart. This is where the company grows the unique einkorn grain. Young Living has Einkorn Flour, Einkorn Pancake and Waffle Mix, Einkorn Rotini and Einkorn Spaghetti. This grain is one of the earliest forms of wheat used by man and is easy on the digestive system. Of course it is NON-GMO and all of our products are grown without the use of chemicals. Here’s a photo of einkorn heads. The harvest is done the old fashioned way, with a horse drawn harvester. 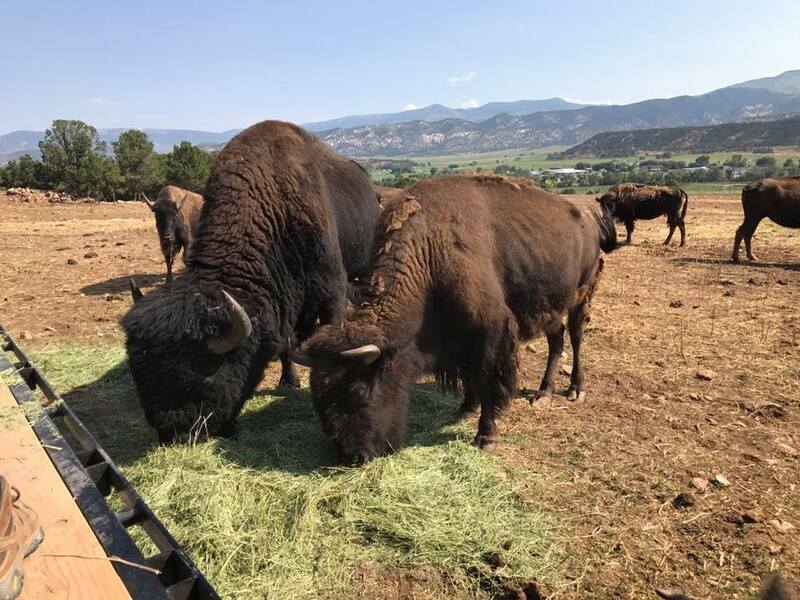 The fields are beautiful and the buffalo still roam out here at the ranch! St. Maries Lavender Farm in St. Maries Idaho is where everything started for the company! 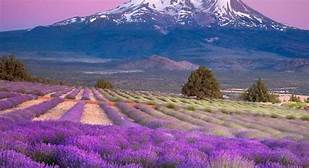 This was decades ago when Gary Young brought pure, authentic lavender and melissa seeds from France and planted them on the 200 acres of this beautiful piece of land. Today, this farm holds 120 acres of organically grown melissa, making it the largest producer of Melissa essential oil in the world. Lavender, Melissa and Idaho Tansy are produced here. Kona Sandalwood Project on the Big Island, Hawaii is a partnership location. Currently they are doing a reforestation project here to preserve the cultural values. At this location only the dead or dying sandalwood is harvested to maintain the ecological balance and to follow the deeply rooted Hawaiian belief in humans’ responsibility to maintain a respectful relationship with the native lands of Hawaii. Royal Hawaiin Sandalwood is harvested at this location. This farm located in Idaho is near and dear to my heart since I spent a week in 2015 working there. It was such a life changing experience, I have not had such an experience since then. It was January of 2015 that I along with 29 other members of the team I am under attended a week long work/learning adventure here. We did it all, planned meals, cooked, cut trees, prepped product, cut trees, hauled trees with draft horses, distilled and even bottled and labeled our own 5 ml bottle of Idaho Balsam Fir. Yep, right out of the tap at the distillery! 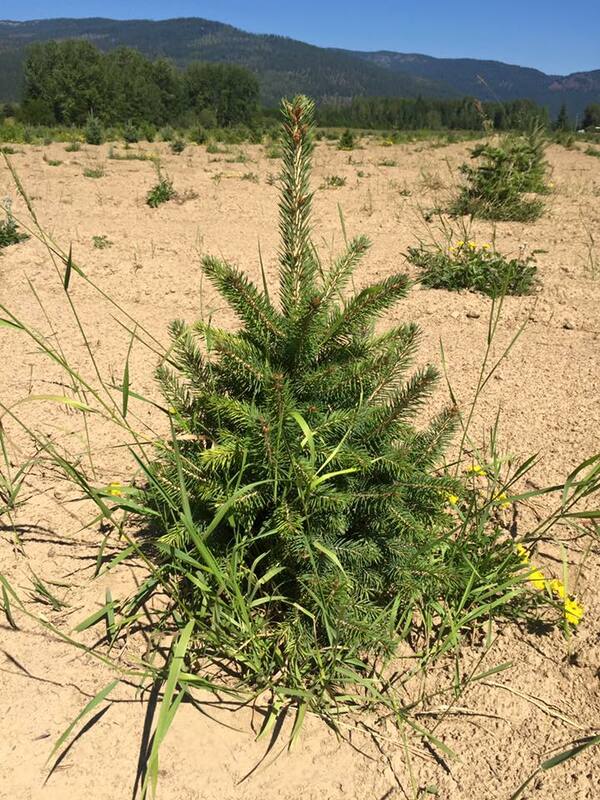 This farm is home to beautiful conifer trees from which essential oils derived from the great outdoors are produced. It’s the location of the annual Winter Harvest and Spring Planting projects. Members are allowed and even encouraged to participate firsthand in the Seed to Seal process. This farm is in a rural, peaceful setting. 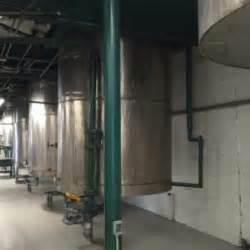 Here you can experience the thrill of working at the world’s first fully automated, state-of-the-art essential oils distillery. Oils that come from this location are Idaho Blue Spruce, Idaho Balsam Fir, Pine, Idaho Ponderosa Pine and Western Red Cedar. There is a team of draft horses here that help to bring trees in narrow areas where the trucks cannot get into. It was a first time experience for me when they allowed us to use the team to bring trees up out of the forest. I love horses and these horses are some of the biggest I’ve ever seen up close and personal. I happened to be there during Winter Harvest, but I would love to go back at spring planting time to experience that part of the Seed to Seal process. They have nice wood cabins, a full kitchen, shower and bathroom areas, laundry facilities and hot tubs onsite that use the floral waters from the distillery. Nothing is better than sitting in a hot tub of Idaho Balsam Fir floral waters. These waters are collected off of the steam chambers in the distillery, they smell great, and are so relaxing. With a vision “to bring Young Living Essential Oils to every home in the world”, no other essential oil company has been around longer than Young Living. Nor does any other company enforce the same strict principles on their corporate farms, partner farms or Seal-certified suppliers. I love that the company I represent carries a SEED TO SEAL GUARANTEE with every product they produce and package. 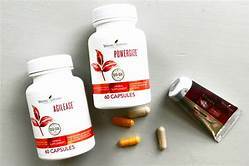 Young Living introduced the Seed to Seal promise as a symbol of the commitment they have to provide your family with the best essential oil and oil-infused products in the world. The Seed to Seal promise ensures that with every targeted supplement, every skin care solution, and every pure essential oil you use, you are enjoying the benefits of their global resources, industry leadership, and decades of innovation. This results in a pristine final product that you know is created with conscientious sourcing, science and standards. 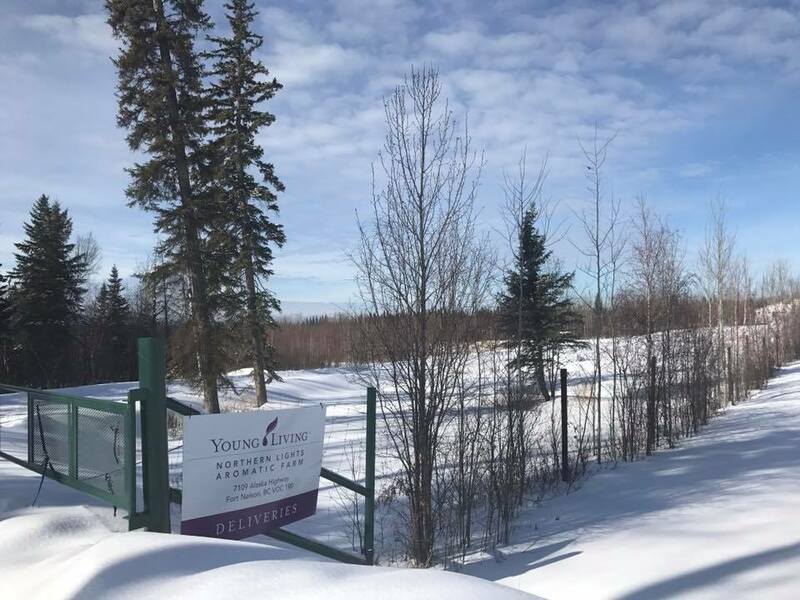 Young Living sources from corporate-owned farms, as well as partner farms and Seed to Seal certified suppliers that adhere to their partnership principles. This empowers them to source conscientiously with priority on quality, sensitivity to community impact, and mindfulness toward the local ecosystems. 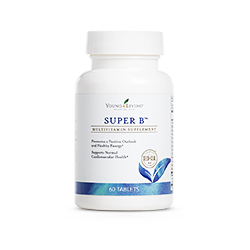 Ultimately, this empowers you to feel fully confident using Young Living Products. The sourcing and Executive teams hand select renowned suppliers of premium botanicals and building relationships with them for decades. They continue to foster and expand those relationships daily. 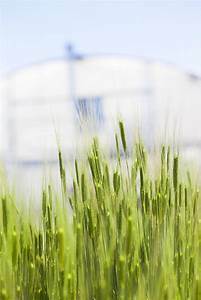 ALL FARMS whether a partner farm or corporate owned farm, or Seed to Seal certified supplier must sign declarations that they will follow our strict Seed to Seal specifications. 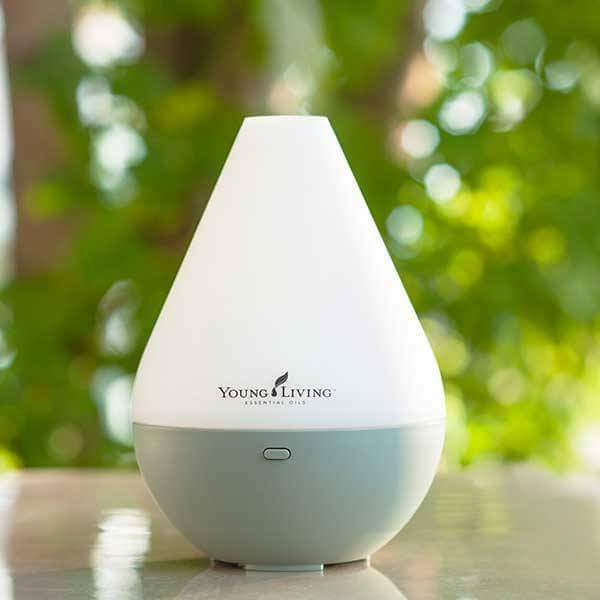 Young Living backs up signed Seed to Seal declarations with legally binding contracts that require the partners to deliver on those declarations. Young Living has spent MILLIONS of dollars on a state-of-the-art lab with cutting-edge testing instruments, as well as a world class team of researchers. If the team finds that a supplier’s product doesn’t meet the demanding standards, it never reaches the warehouse. Trust me this happens. Product has been refused, thus causing a shortage or out of stock situation until product can be sourced that does meet the strict testing. In addition to it’s testing, Young Living verifies the quality of the oils via a third-party audit of the supply chain. The intricate global sourcing network is designed to bring members superior products, and they are proud to have implemented and objective audit process. While the quality of the products begin in the fields, it’s proven in the lab with research from the R&D team’s 180 years of combined experience. They also test product samples as needed with two independent, respected, and accredited labs. 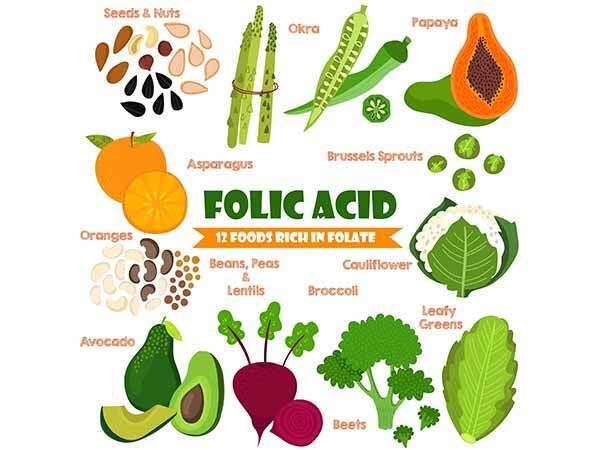 They create pure, effective formulas to provide your family with products that contain the cleanest and most innovative ingredients available. Young living is the leader of the modern day essential oils movement and a close partner with the earth, it’s part of thier stewardship to do business responsibly from sustainably sourcing rare botanicals, to uplifting local communities, to going above and beyond to comply with local environmental rules. Young Living chooses to partner with sources they know produce pure essential oils and ingredients ethically and legally, setting a top-tier standard for sustainability that you can trust. 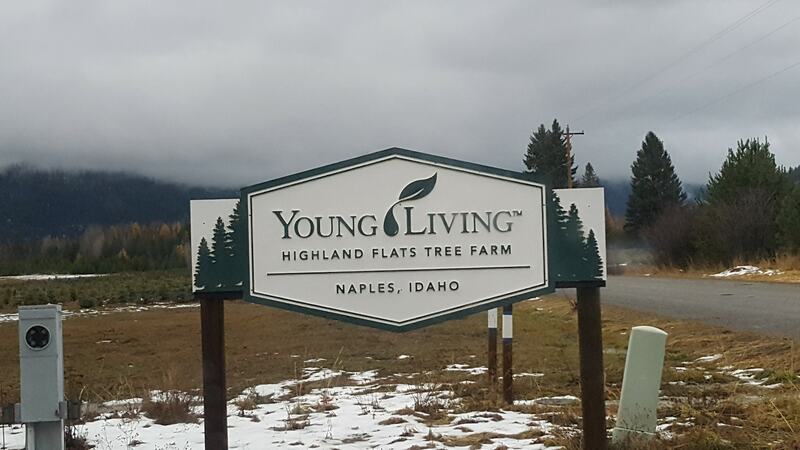 Young living farms stand apart in the essential oil industry. That’s why their essential oil farms play such and integral role in the Seed to Seal promise. They have invested unprecedented time and resources to ensure that these standards are prioritized at each of the corporate-owned farms, partner farm, and Seed to Seal certified supplier. This ensures your home and family get the very best nature has to offer. This farm is extra special because I have been here and planted product, as well as checked out the distillation facility. 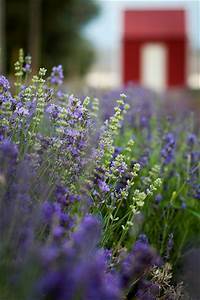 This farm grows Lavender, hyssop, Clary Sage, Peppermint, Goldenrod, Balsam Fir, Melissa, Roman Chamomile, Juniper, Blue Yarrow, Spearmint and German Chamomile. A little side note is that if you attend convention in Utah then you will be able to go and visit this farm, see the distillation and possible plant or pull some weeds. None the less, you can say you have had a firsthand look and been able to see the production of the purest essential oils on the plant! The Whispering Springs Farm is an iconic farm, not only to Young Living but also to the essential oil movement and the wellness community. 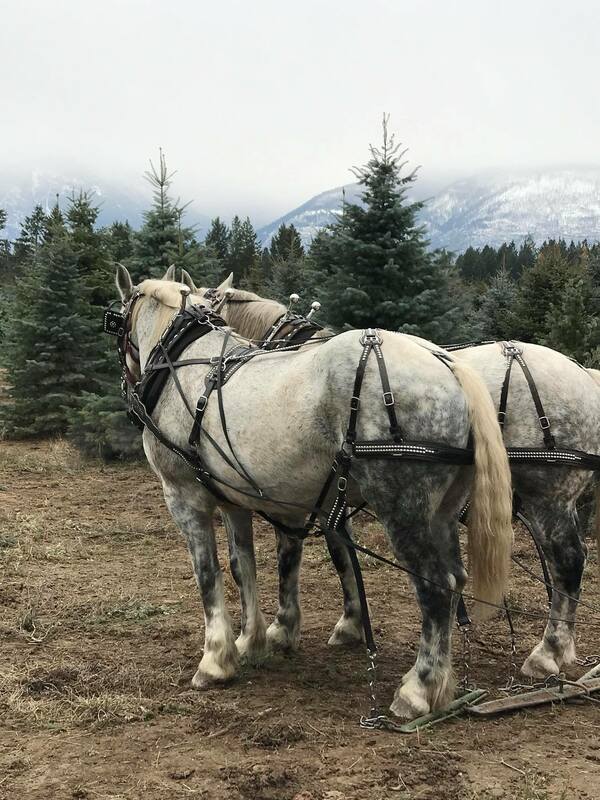 This lavender farm is just a short drove from the Young Living Global Headquarters and is home to events such as and Annual Easter Egg Hunt, the Lavender Day Festival, the Essential Oils and Animals Conference, and the Fall Festival Draft Horse Show and Rodeo. Here there is a product store, a small lake to enjoy or paddle boat, an arena for jousting events, a horse barn where they store the beautiful draft horses, a distillery, picnic area, small play town and playground for the kids. Remember, the farms are open for visitation, just call ahead to check on the hours or to set an appointment before you visit a farm. Here is the number and address for the farm if you are ever nearby.